"Witness the beauty and elegance of mathematics with 50 breathtaking fractals. Webshots member rajah created these Fractal Flames with Apophysis--a freeware Windows application with which you can design and render fractal flames. 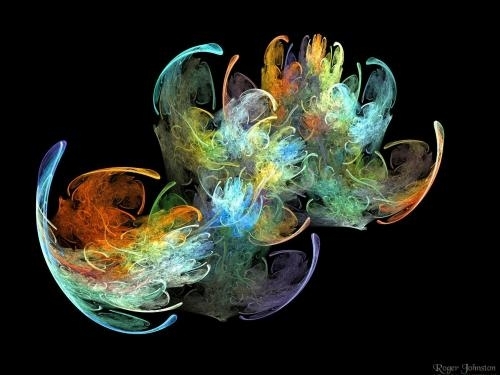 According to http://apophysis.wikispaces.com/ and http://www.flam3.com/, Fractal Flames were created by Scott Draves in 1992 and are an "extension of the iterated function system class of fractals"." This is completely off-topic, but I thought these were so cool they were worth posting - have a great weekend everyone!